Last year, activists were able to kick Urban Shield out of Oakland. 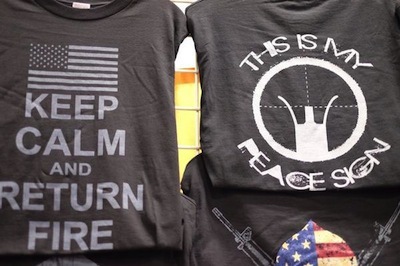 Now they’re fighting to get rid of this potent symbol of police militarization for good. Sign the petition to join Stop Urban Shield, a coalition of anti-militarist and community organizations, in demanding that the Alameda County Board of Supervisors cancel their present contract with Urban Shield and decline all collaborations in the future. Urban Shield is a conference and exposition for police departments across the country and around the world featuring SWAT training, national and transnational police networking, and weaponry marketing. 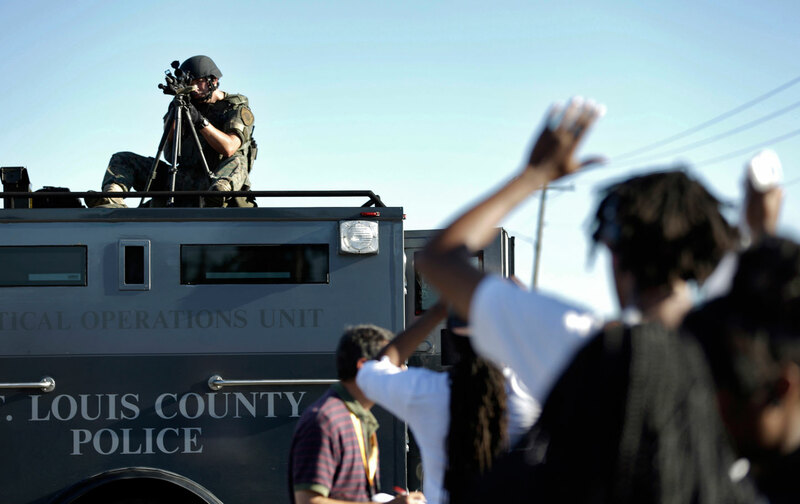 Companies from around the world use the conference to hawk the kind of military-grade equipment that shocked much of the country when it was used in Ferguson, Missouri. While this equipment is often sold to the public as a tool for high-stakes situations such as active shooters, we know that it is used for drug raids, to issue search warrants, and against peaceful protesters. Urban Shield is coordinated by the Urban Areas Security Initiative (UASI), a key program in the extreme militarization of police departments we’ve seen in Ferguson, Baltimore, and communities—particularly black communities—nationwide. To the Alameda County Board of Supervisors: We urge you to take steps to end the militarization of our communities by rescinding all present contracts and declining all future collaborations with Urban Shield! The regular, militarized lockdowns and attacks on Ferguson and Baltimore’s black communities have gained increased attention in this past year—but they are not an anomaly. Police repression continues to grow across the US and globally through coordinated efforts to militarize policing tactics and weapons. Local police departments are now directly funded and trained by the Department of Homeland Security and many receive military-grade equipment from the Department of Defense. Oakland has a rich tradition of organizing from groups working for civil rights to police abolition. Last year, the Stop Urban Shield coalition and broader community organizations built upon this history by forcing the City of Oakland to stop hosting Urban Shield. This was a hugely significant victory and demonstrated the power of collective grassroots organizing. But Alameda County, where Oakland is located, continues to play host to Urban Shield by moving the convergence to nearby Pleasanton, California. As part of the growing movement against militarization in cities everywhere, activists in Oakland are continuing their fight by calling on the county board of supervisors to reject Urban Shield for good.